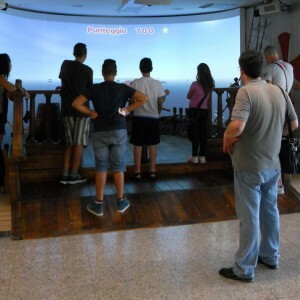 Tim is seeking, following the previous virtual soccer installation’s success, TimGoal, a new interactive gaming solution increasing it clients’ flow in its Fiumicino store and, linked to the latest ATL campaign. This mean should ultimately strengthen TIM’s corporate image. 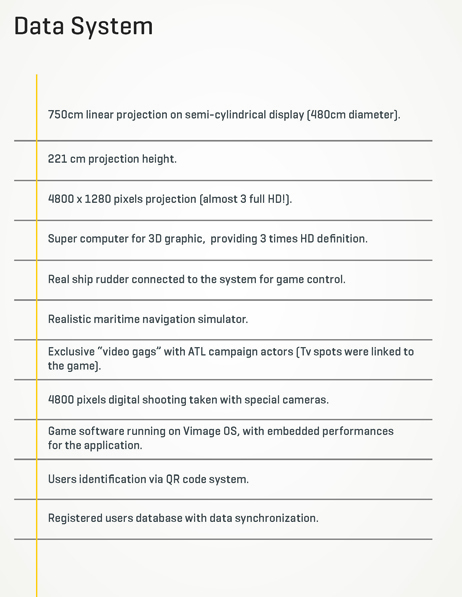 As its previous one, this new gaming solution will be combined to a contest: weekly awards and a final “super award” will be given on a certified database. 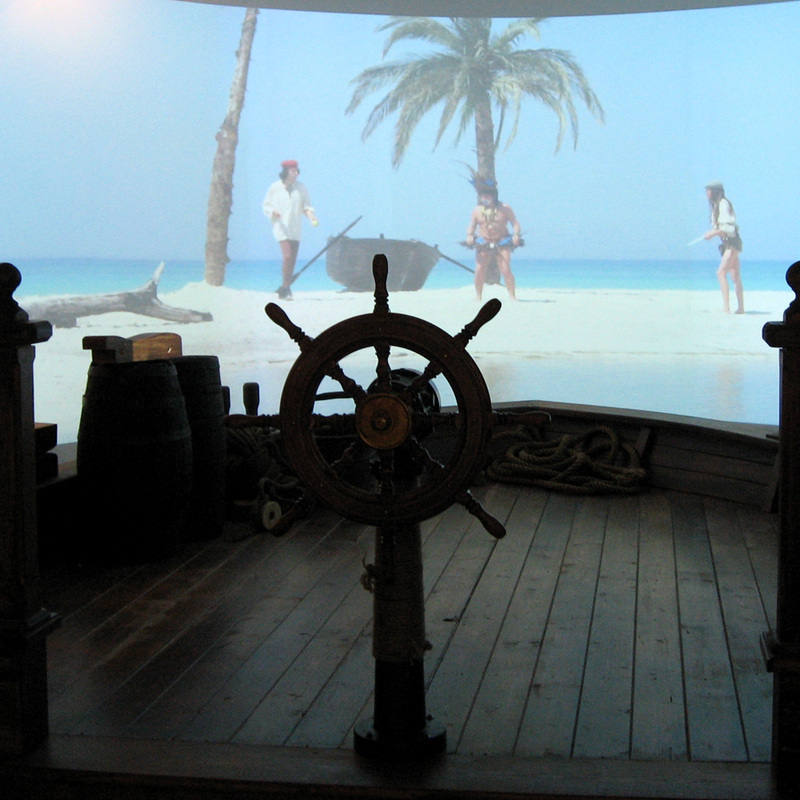 Vimage has created a highly immersive professional system in which the client finds himself involved in a virtual 3D computer graphics sea navigation game. 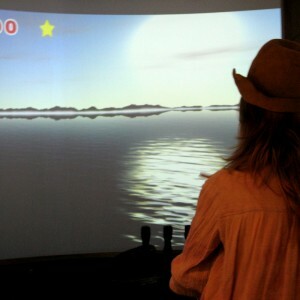 The player has to overcome virtual obstacles and conquer treasures on his way to his final destination, the American continent. A real rudder, the installation’s game controller, and a curved large-screen projection, as its display tool, guarantee a high emotional involvement. 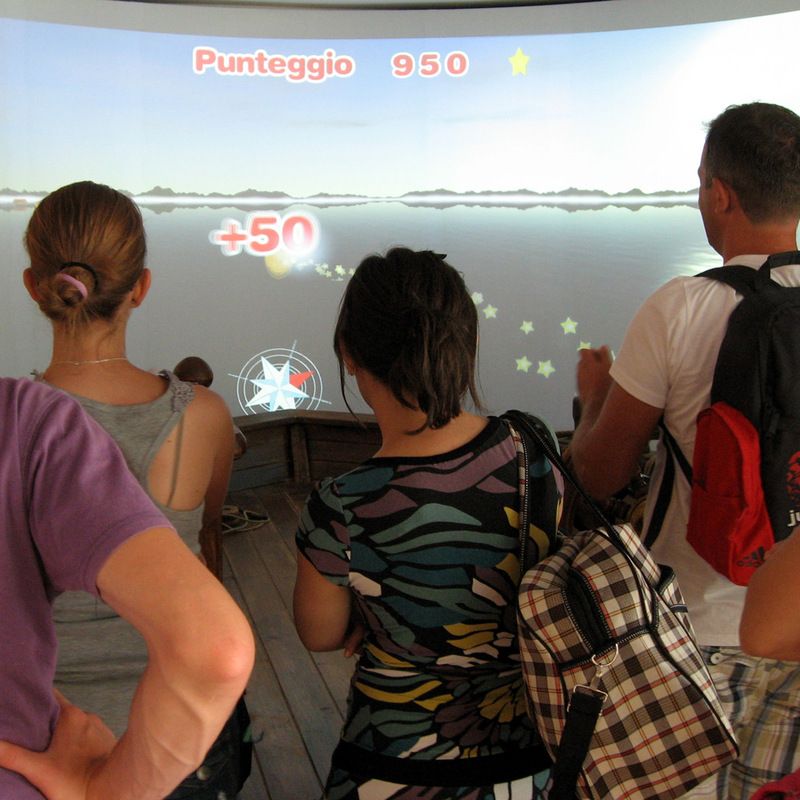 The 3D graphics navigation mode via a real time rudder majorly enhances the player’s interaction. TIM’s airport sales’ office gains a major added value compared to its competitors and increases its clients’ curiosity and interest. The customers associate an innovative and technological image to the brand name because they have the feeling that they can comfortably enjoy themselves in this environment. This increased wellbeing will increment their buying spirit.